While we were away, the school conducted a full-day kitchen fire training for the faculty’s housemaids. Please be informed that we will have fire demonstrations today and tomorrow around 4:00 pm. If you see thick smoke during those times, they are part of my projects. I’m kind of sorry I missed it. 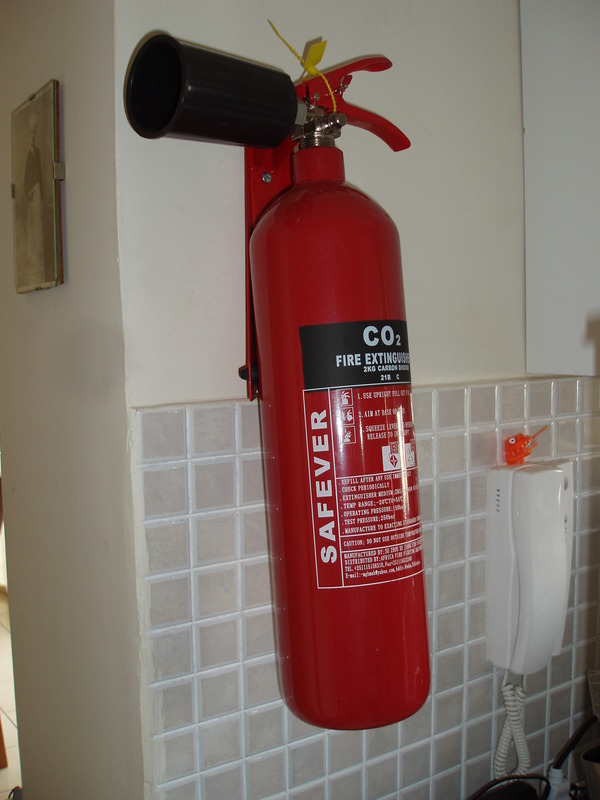 Here’s the new fire extinguisher they installed in our kitchen. Our housemaid knows how to use it. What I want to know is, who told them about us? This entry was posted in Addis Ababa, Home life. Bookmark the permalink.